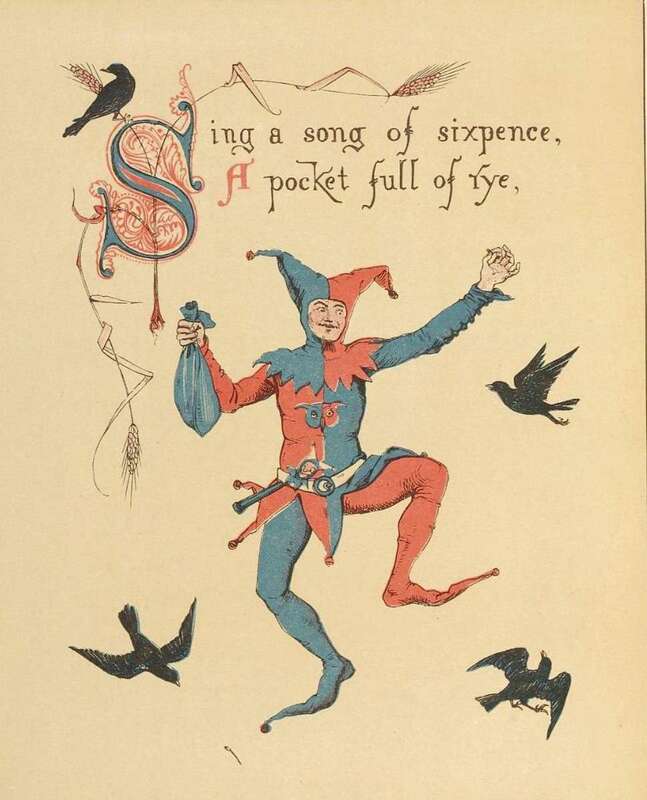 When I first came across this peculiar ditty I did wonder what exactly a song of sixpence was. 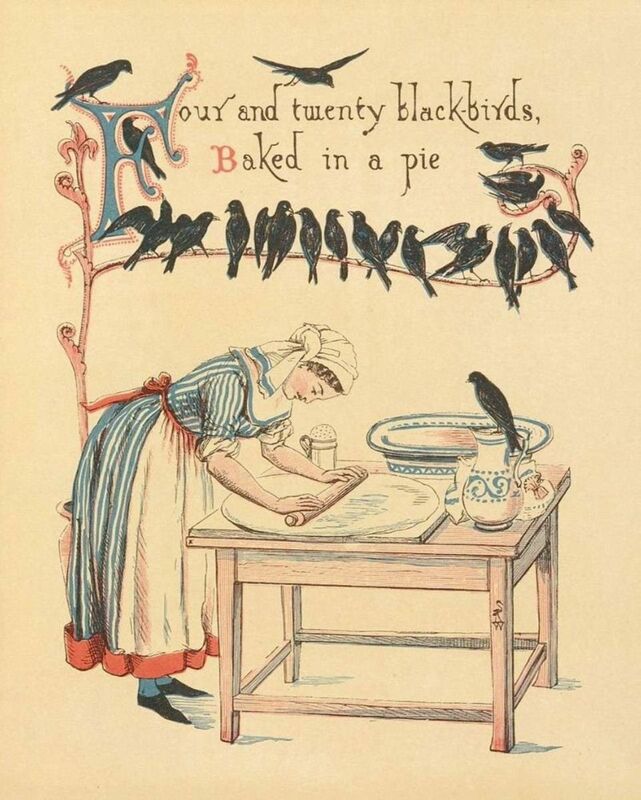 I pondered on why, in an astonishing act of avian cruelty, were four and twenty blackbirds baked alive in a pie. I asked myself, why, like in cluedo, the various protagonists were placed in the counting house, in the kitchen and in the garden respectively when the crime was committed. And finally just why does it culminate in the maid having a crude rhinoplasty by a flying blackbird. Is the song just a puerile nonsensical exercise in rhyming or are their hidden depths to the poem? 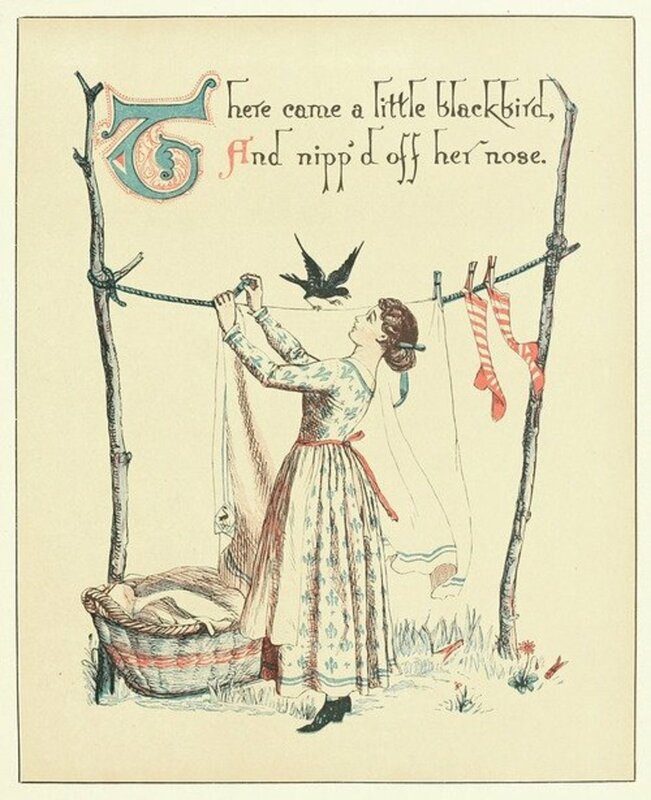 As with the other rhymes in our series, many speculators and self confessed literary historians their opinions on the secret history of this nursery rhyme. 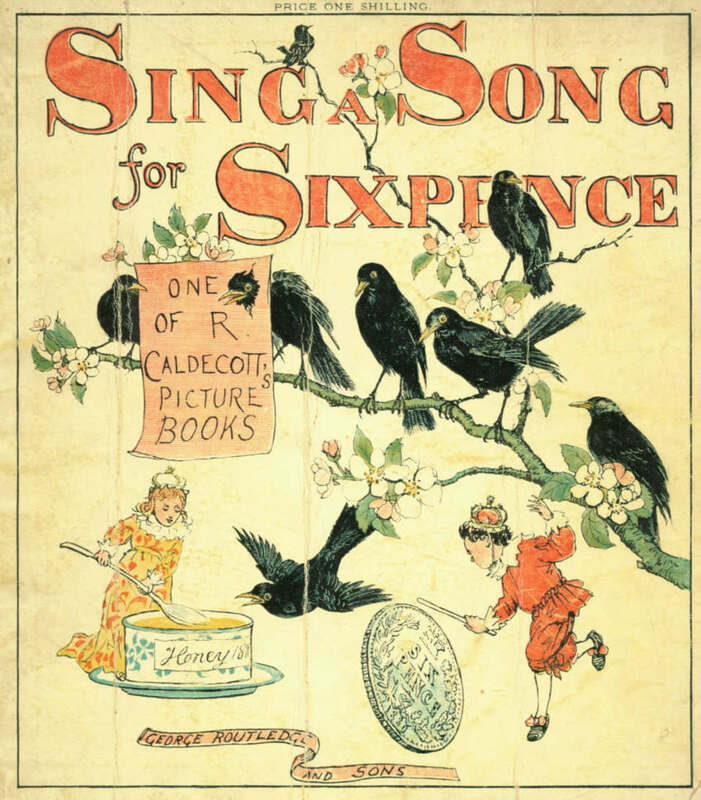 Let us wander through some spurious speculations and canny constructions on the supposed origins of Sing a song of sixpence. 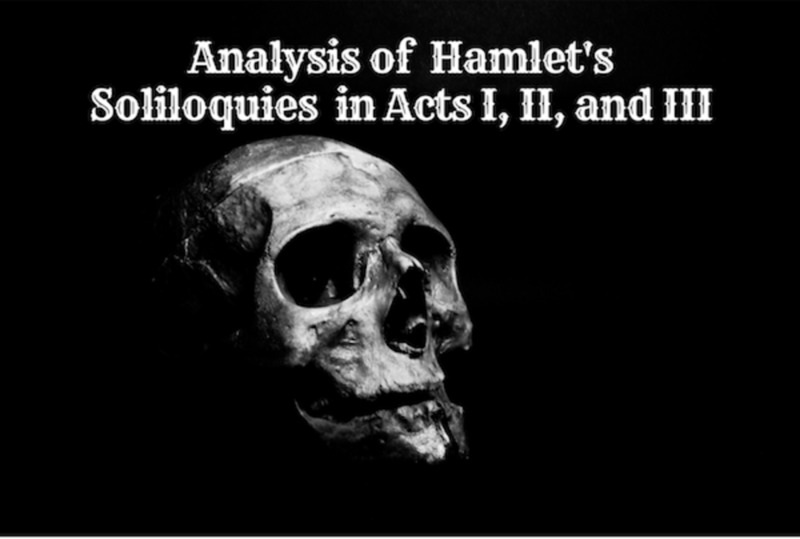 You may not be enlightened with stunning revelations, but trust me, you will be entertained. 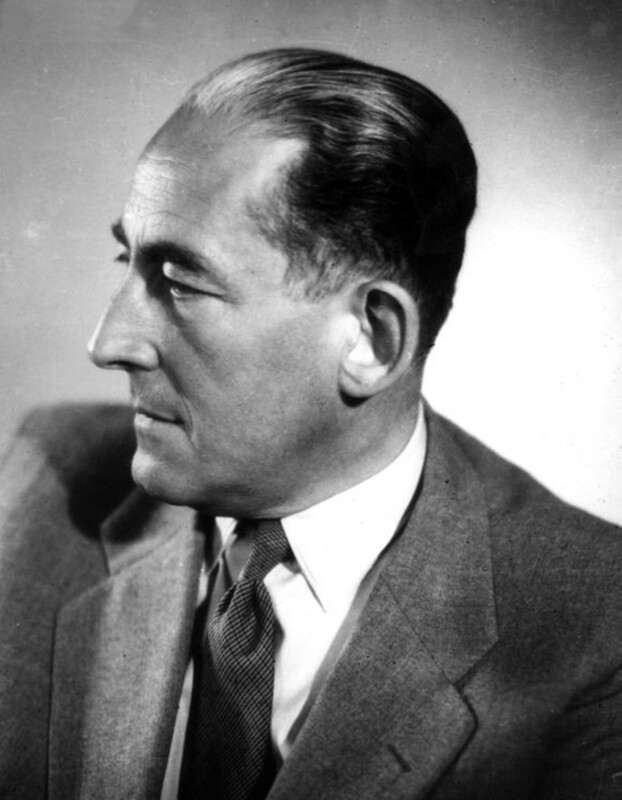 in the case of BBC Radio's Listen with Mother in the 1950s, a happy ending was tacked on. A more complete version of the four verses appeared first in 1784 in the Gammer Gurton's Garland or The Nursery Parnassus. A modern version some felt the need to tack on a happy ending, so as to not upset the child. I am sure our children who have grown in on a diet of angry birds are made of far sturdier stuff. The reference to a pocket full of rye could be the seeds used to feed the blackbirds. The blackbirds themselves were originally magpies in some versions. A recital of this rhyme could end with a playful tweaking of a child's nose. 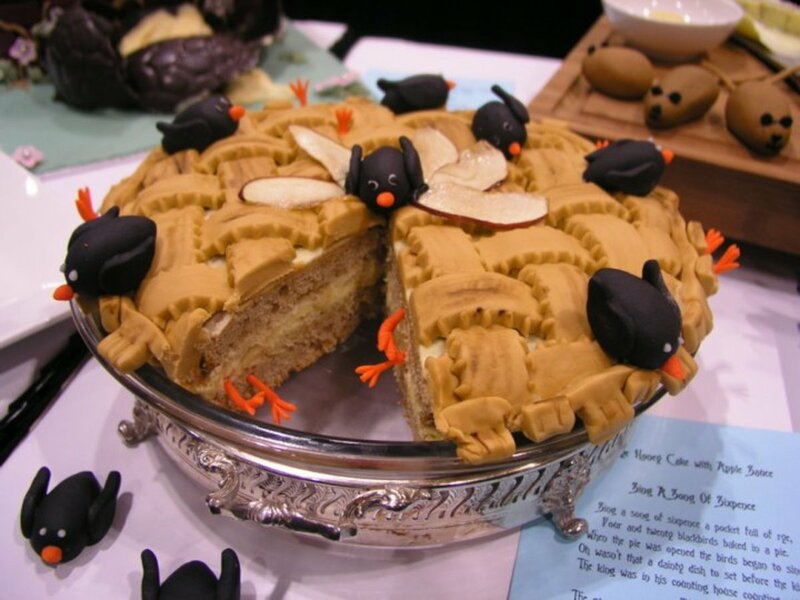 The act of baking live animals or birds in a pie for entertaining the guests was a popular one in wealthy banquets in medieval times. It has lasted to this day as the pop-out birthday cakes. Though it may sound like a pill that you could buy over the counter, Entremet is not a drug. Lavishly entertaining dishes, such as our blackbird pie, served as elaborate surprises in a banquet are called 'entremets'. Entremets literally mean 'between servings' in French. These were popular from late Middle ages as a sign of luxury, an opportunity for the hosts to show off their opulence. 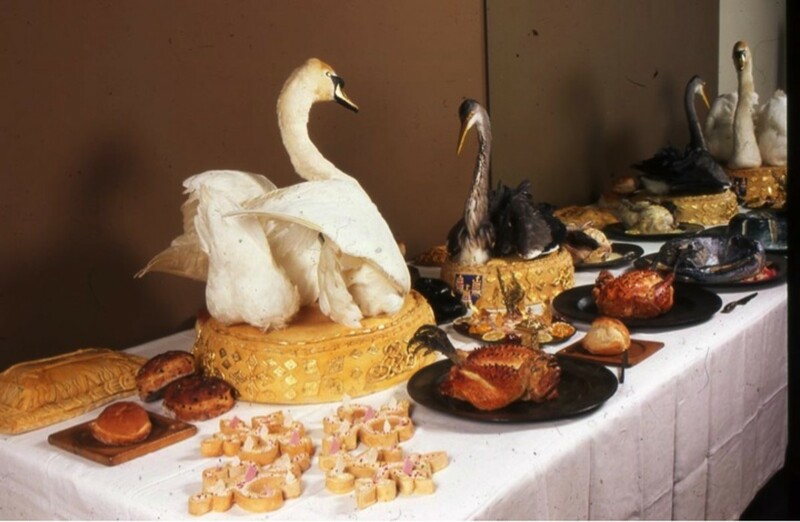 The Chefs were encouraged to bake highly decorative dishes that would prompt oohs and aahs from the guests. Initially the entremets were highly coloured edible decorative offerings. Sometimes they were scale models of castles some where birds cooked and then redressed in their colourful plumage. Some were modelled caricatures of knights on their steed - such as a grilled capon dressed in a paper hat and a lance sitting astride a roast piglet. The chefs were allowed to be innovative and highly creative and the entremets were made to be talked about. As the years progressed, the entremets were referred as subtleties ( I know they were anything but subtle. In its older meaning the word meant clever or surprising). 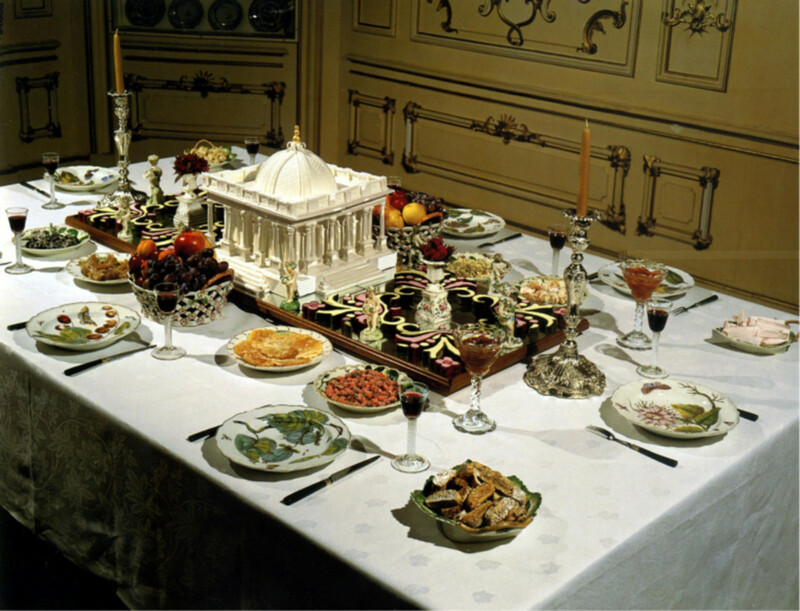 The ambitious chefs depicted battle scenes, scale castles with fountains complete with miniature occupants and many such wonders. Soon someone came with the idea of covering live animals or birds with pastry shell. This was so that when the pie was opened the entrapped creature will pop or fly out, much to the delight ( or utter horror!) of the guest. The animals included various birds, pigs and even frogs. 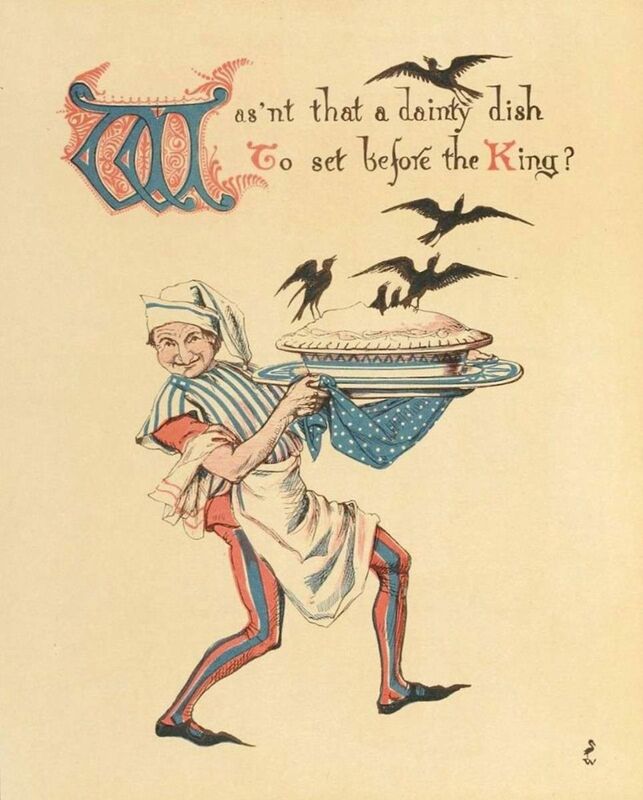 In a famous example King Charles I and his Queen Henrietta Maria, served up Jeffrey Hudson, a famous dwarf of his day (alive of course), in a pie. I am sure much mirth ensued. The modern Entremet, however, is just a multi layered cake with various flavours and textures. 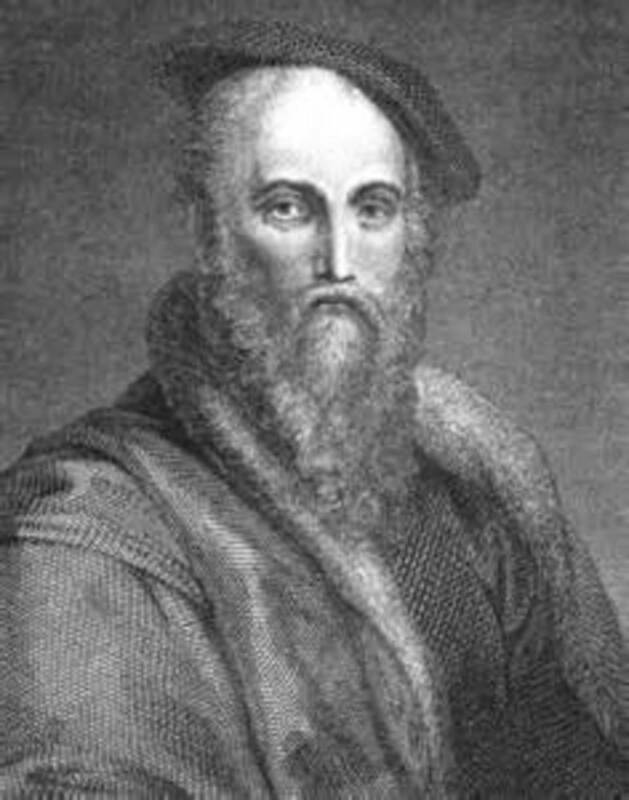 One peculiar myth or certainly a masterful urban legend about the rhyme is connected to the most famous pirate of them all, Captain Blackbeard. 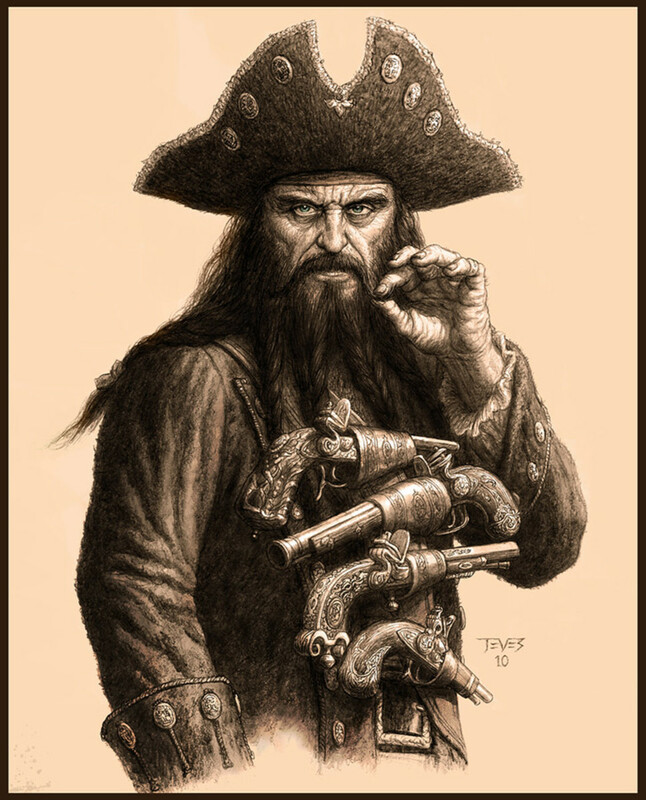 Edward Teach (1618 - 1718), also known as Captain Blackbeard, was a notorious Pirate of the Caribbean operating in the early 18th century. 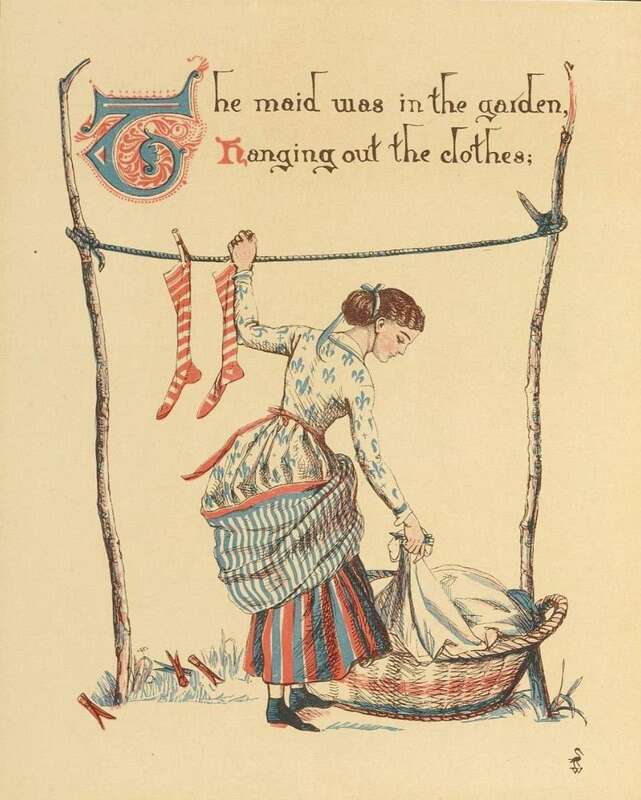 The nursery rhyme emerged from the same era. 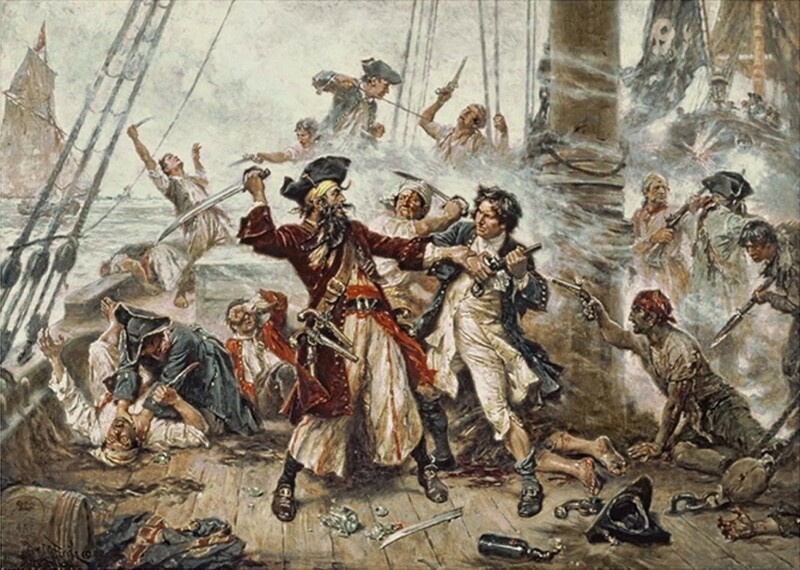 In a highly original and elaborate interpretation, the sing a song of sixpence is supposed to allude to the fact that Blackbird was one of the few Pirate Captains who actually paid his crew members a daily wage of sixpence. Most pirate vessels of the era did not pay a salary but merely divided any spoils. In the 1700s sixpence would have been a handsome daily purse for a pirate. 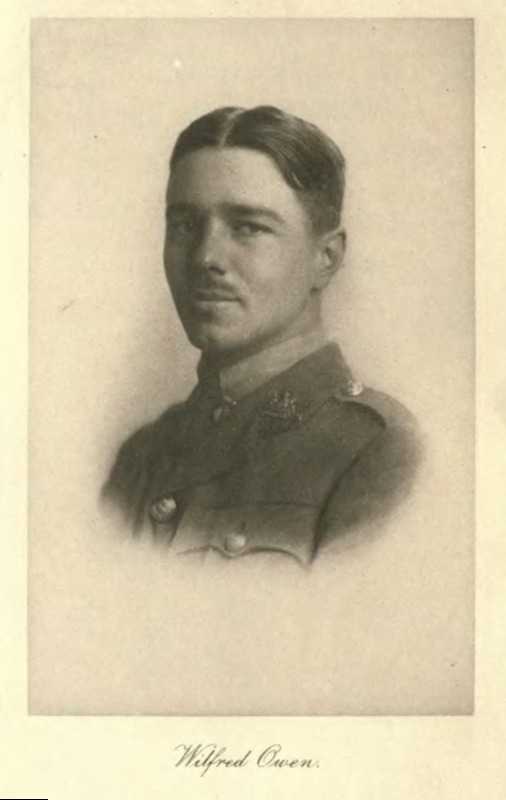 in addition the crew members received a pocket full of rye ( a canteen of rye whisky). Although ( yo ho ho ) one would normally associates pirates with 'a bottle of rum'. The four and twenty blackbirds baked in a pie refers to the fact that pirates usually lulled unsuspecting merchant ships by flying innocent masts while the armed scoundrels hid below deck ( about 24 of 'em). When the passenger or merchant ship got close the pie was opened and the birds began to sing i.e. the pirates came flying out and attacked the other vessel in a nasty surprise. The King could refer to the King of Pirates, Blackbeard himself, who certainly would appreciate the 'dainty dish' of the pirated spoils served before him. 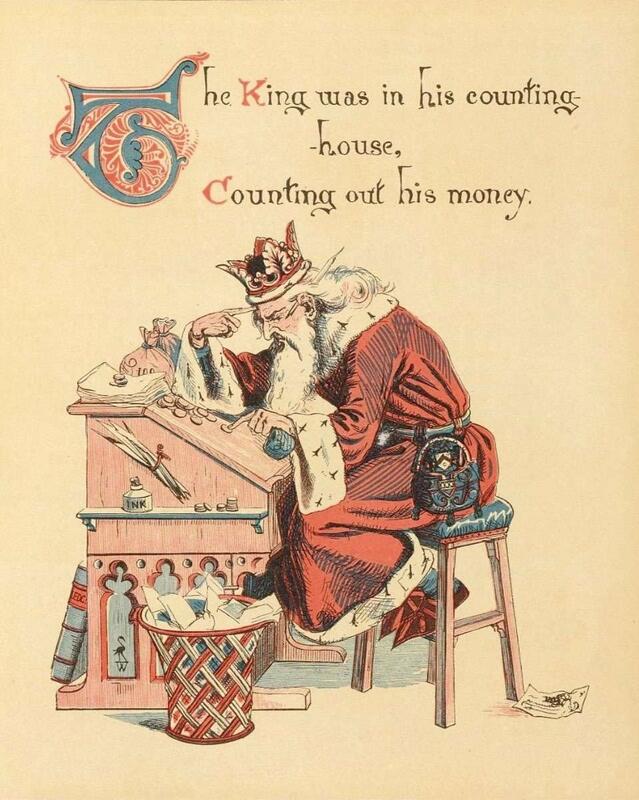 He would then count all his plunder in his counting house. Blackbeard inherited his ship ' Le Concorde de Nantes' - (originally an English Frigate, then captured by the French and ran as a slave ship) from its captor, Captain Benjamin Hornigold. Hornigold made his prodigy Edward Teach the Captain of the ship. 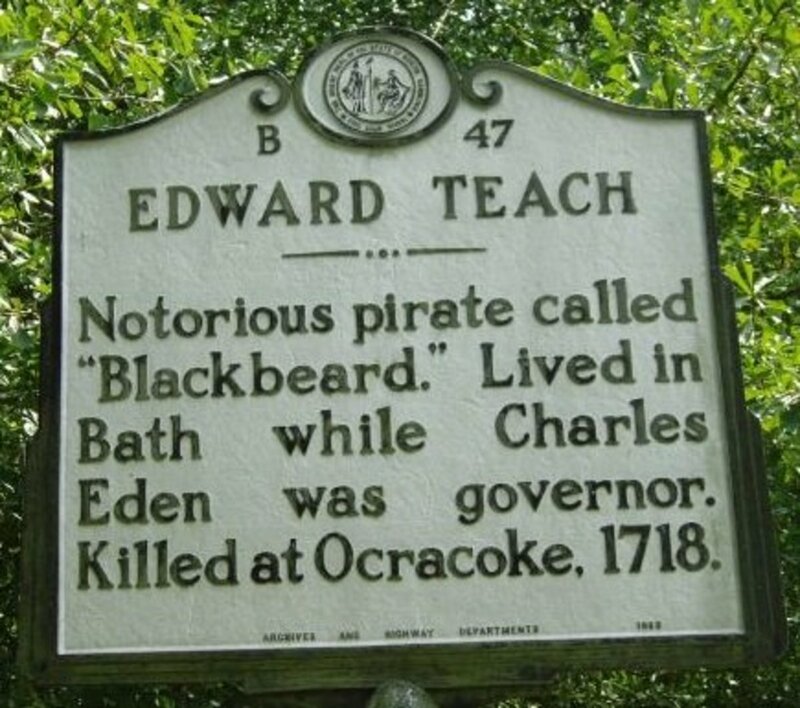 Teach took on the moniker of Captain Blackbeard and renamed his ship 'Queen Anne's revenge'. 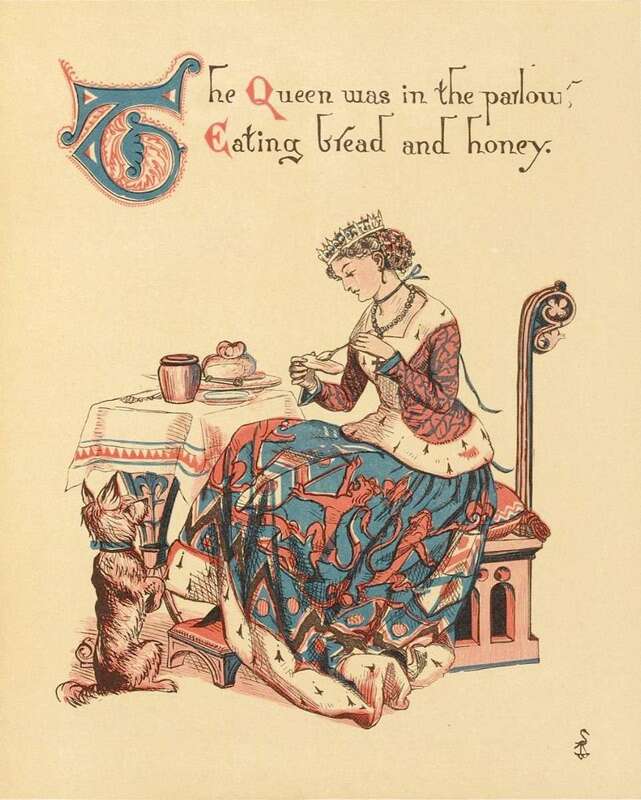 The Queen would call at friendly ports for provisions, 'eating bread and honey'. 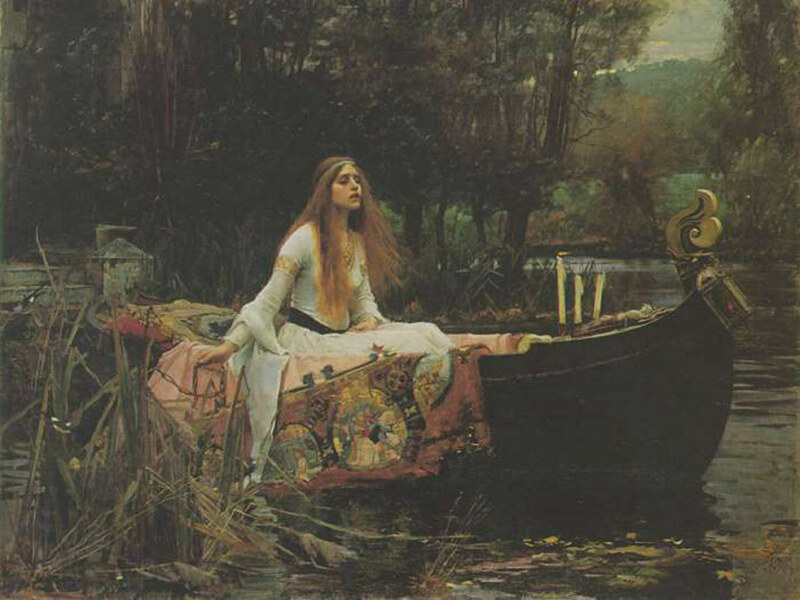 The maid in the garden refers to the known routes of potential target ships for plunder and hanging out the clothes is setting sail with the masts billowing in the wind. 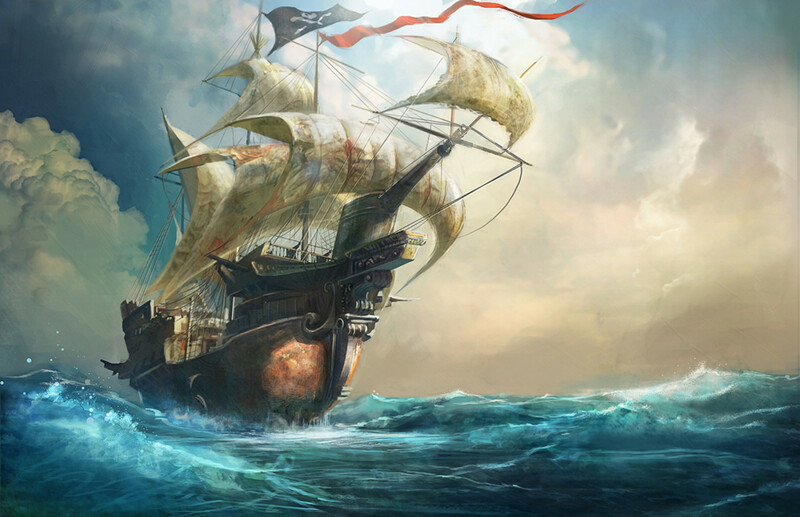 Then Blackbeard's ship will fly in and attack the unsuspecting ship and peck off its nose, namely ransack its spoils. This may be pure fiction, but I admire the speculator's fantastic bit of imagination and the cunning blend of known facts. In the Oxford Dictionary of Nursery Rhymes, the rhyme is linked to the reign of Henry VIII and the dissolution of monasteries. 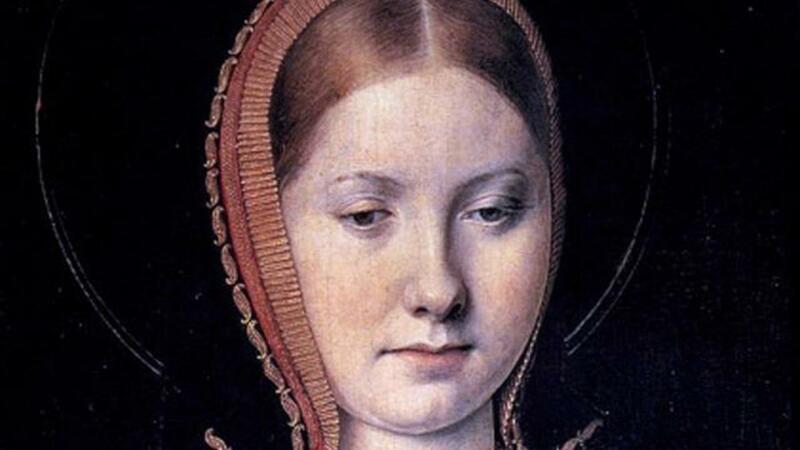 The King is Henry VIII himself and Catherine of Aragon, the Queen. The maid hanging out the clothes is Anne Boleyn as she was the maid of honour to Claude of France (daughter of Louis XII), during her formative years of education in France. 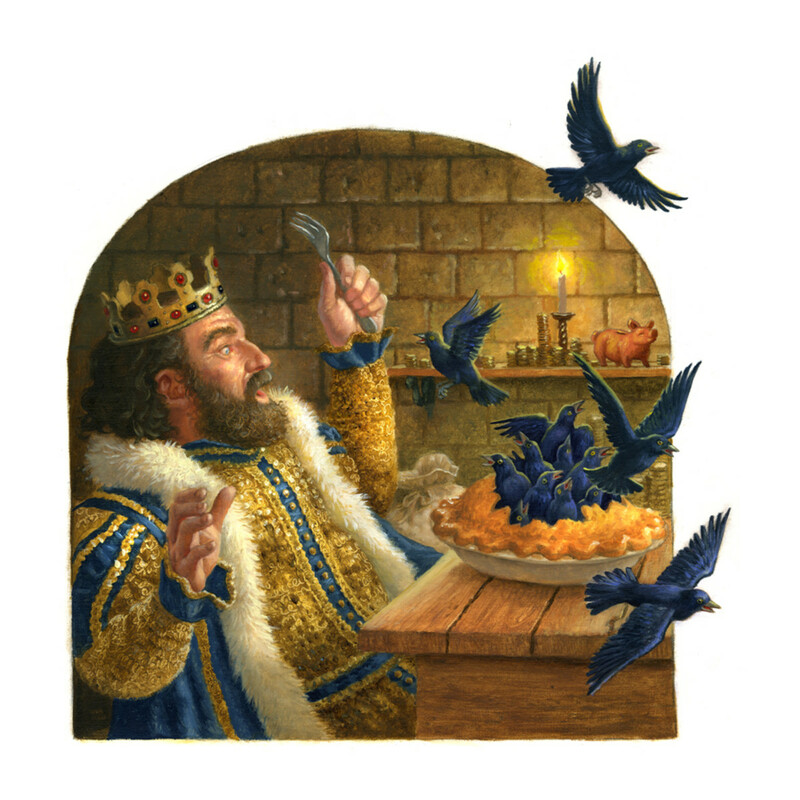 Rye and Pie may be tributes to the gluttonous king. The pecking of the nose may well be her eventual execution. 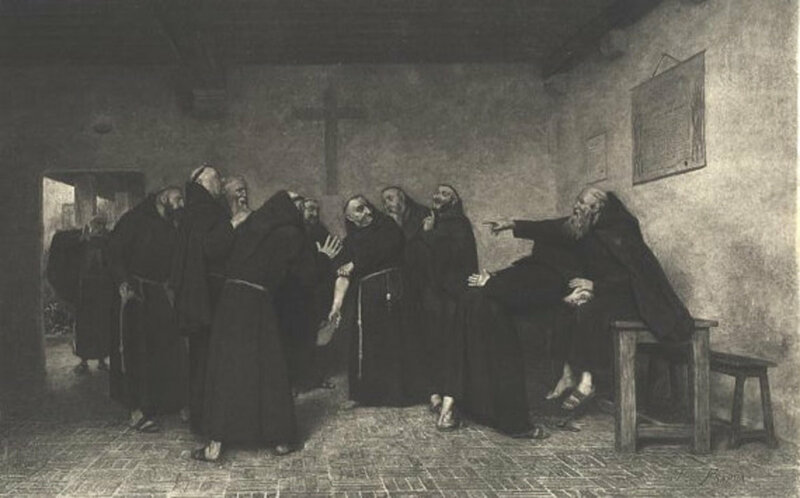 There were many conspiracies around the time against the King due to his stance on annexing the land of the Monasteries and Catholic Bishops. The conspiracies were often unearthed and the conspirators often sold out their own compatriots for their own freedom - the birds began to sing. A pocket full of rye could refer to the wealth the King was trying to gain or the whistleblowers reward. 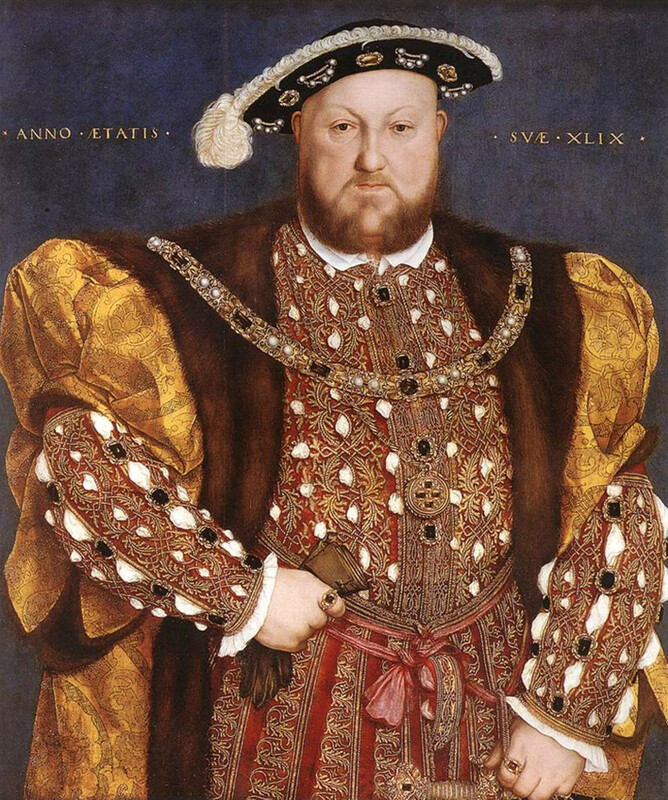 Henry did have a penchant for pies and elaborate feasts. In another interpretation, the King is meant to be the sun, the Queen the moon and the 24 blackbirds the twenty four hours in a day. Opening the pie and the blackbirds singing could be the dawn chorus and the maid in the garden hanging out the clothes the billowing clouds on a blue sky. 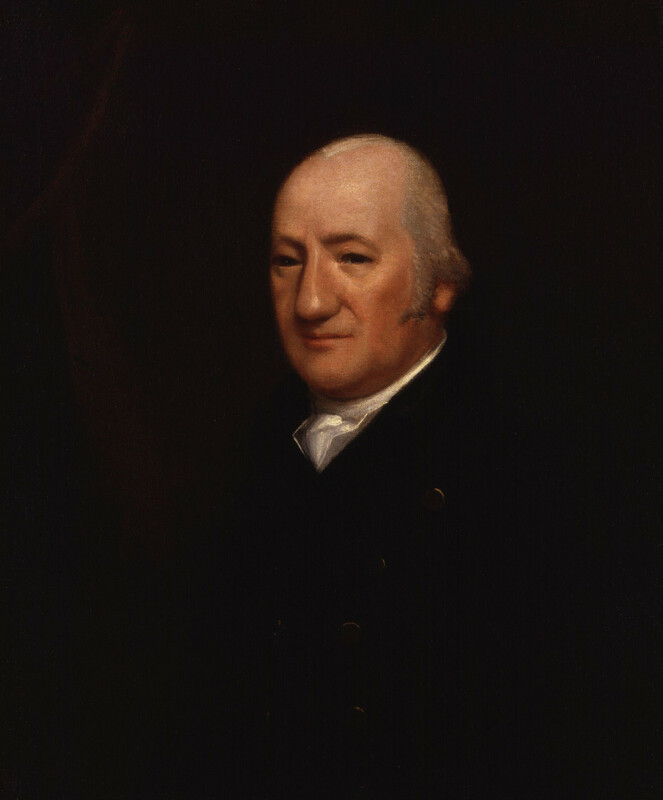 Henry James Pye (1744 -1813) was an English poet who was made poet laureate in 1790 and remained in this position till his death. 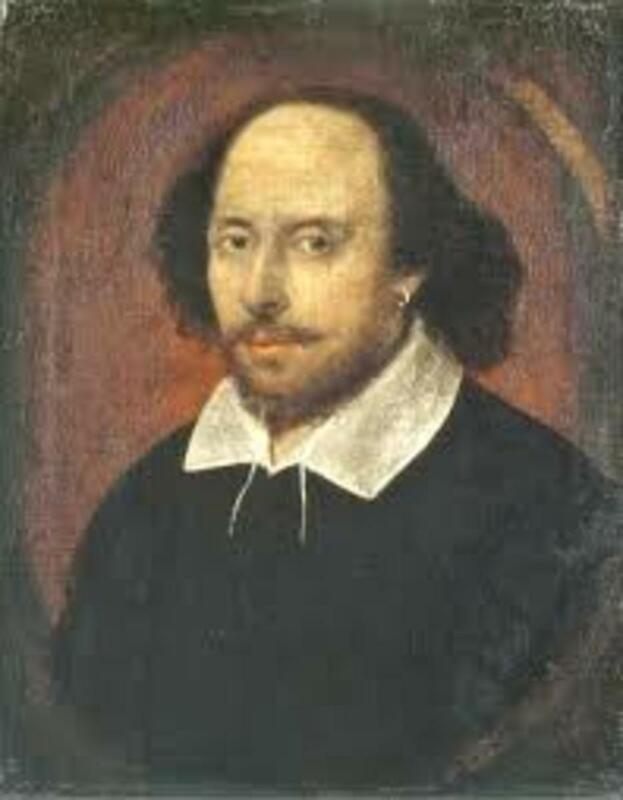 He was widely reviled in his time as the worst poet laureate of them all due to his mediocre efforts at poetry. 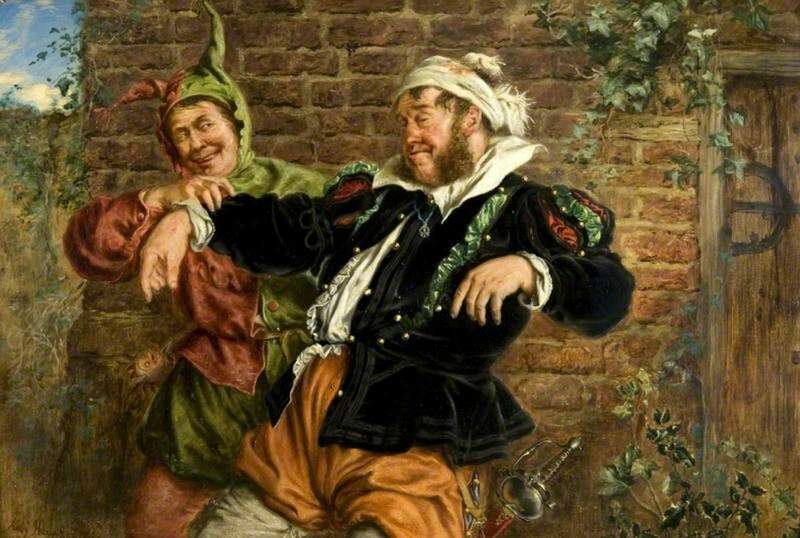 His birthday odes served to the King were a source of much derision. 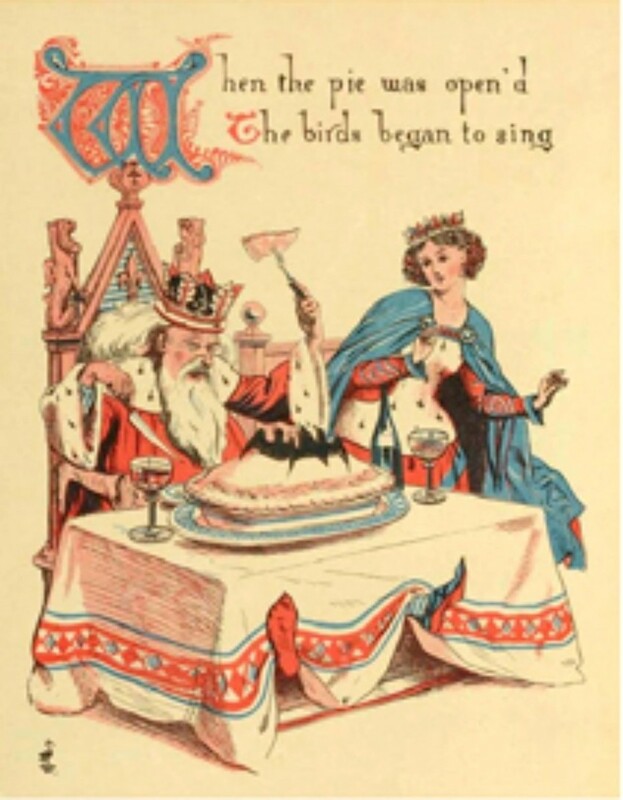 Some think that our nursery rhyme may be a sarcastic ridicule of Henry Pye's dogged attempts at rhyming poetry that he tried to serve up to appease the royalty. He was the first poet laureate to be paid a fixed salary of twenty seven pounds while his predecessors merely received some Canary wine. This might have led to the 'singing the song of sixpence' jest by his contemporaries. 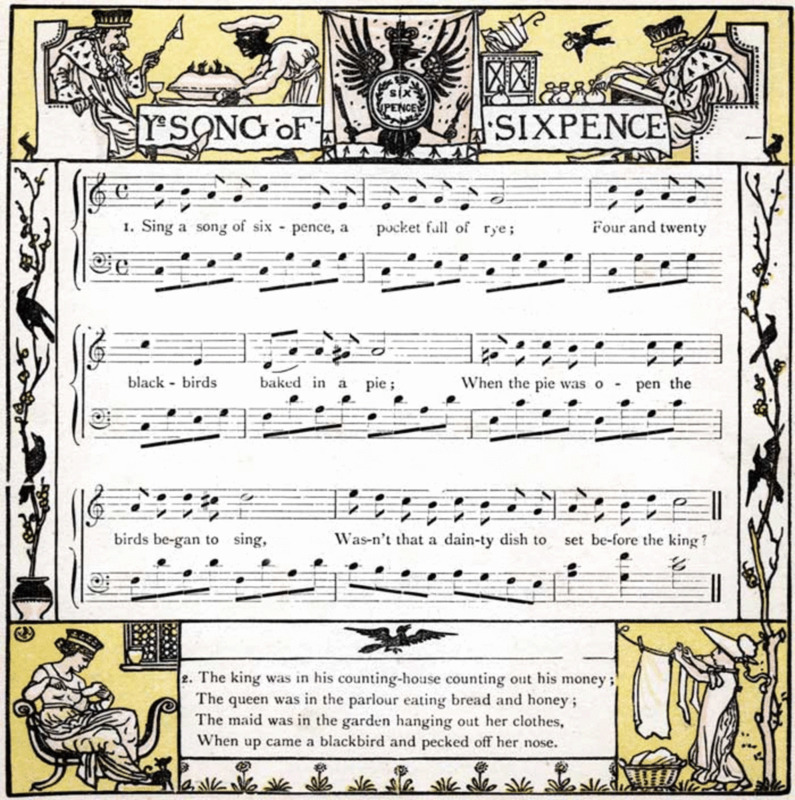 There are reference to songs of sixpence in Shakespeare. 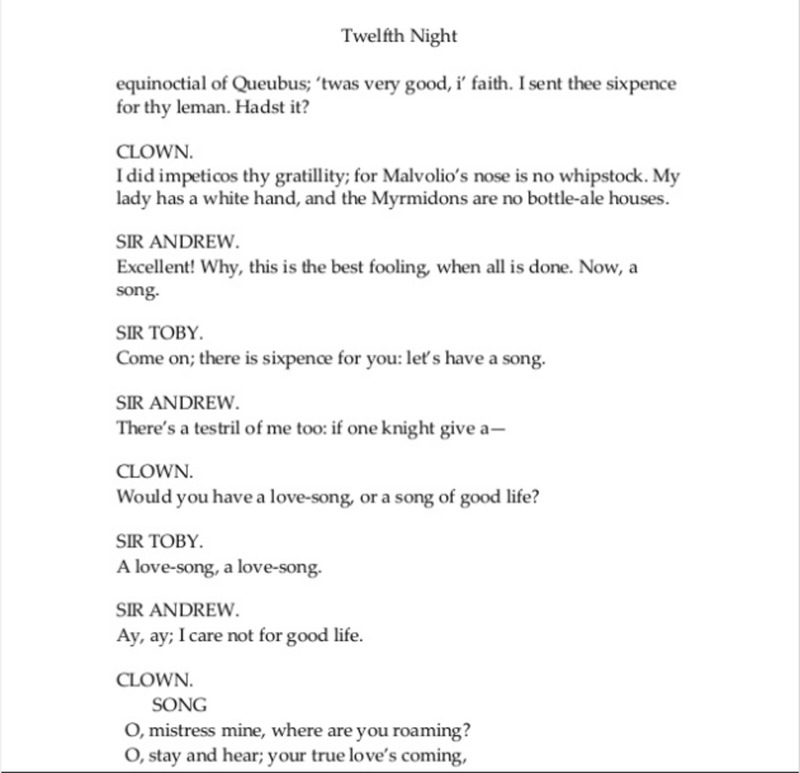 In Twelfth Night, Sir Toby Belch tells the clown "Come on; there is sixpence for you: let's have a song" in Act II Scene iii. Perhaps the more famous reference to the rhyme is the Miss Marple mystery ' A Pocket full of rye' by the Queen of crime Agatha Christie. Here Christies weaves the themes from the rhymes into her twisting mystery. Starting with the murder of businessman Rex Fortescue, the police are baffled when his wife is also poisoned and the maid is found strangled in the garden with a clothespin on her nose. They find a pocketful of rye in the dead businessman's coat and dead blackbirds on his desk. Thankfully Miss Marple is at hand to solve the mystery. Other references include in the lyrics of Rod Stewart's 'Handbags and Gladrags' , and a Three Stooges episode called 'Sing a song of six pants'. 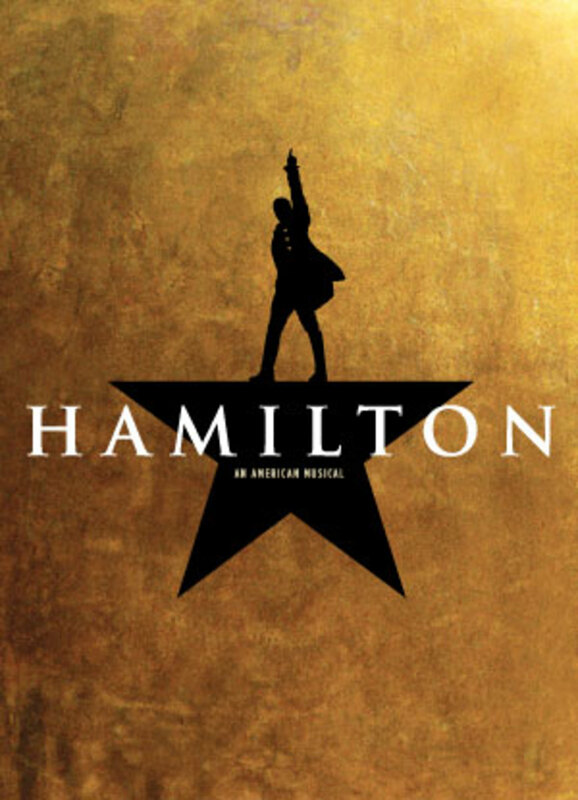 In the award winning Broadway musical Hamilton, the song 'Stay alive' by Lin Manuel Miranda contains the lines 'sing a song of sixpence'. I do hope such unreliable but highly imaginative flights of fancy have been to your delectation. Delving into peoples attempts to find meaning in what was probably a jaunty ditty to amuse children has been a voyage of learning for me in so many ways. How else would I have learnt about the notorious life of Edward Teach, the medieval splendours of entremet, the lacklustre poet laureate Henry Pye and the larger than life shenanigans of Henry the VIII. Come back soon for another journey of discovery as we visit another popular rhyme. Meanwhile if you find time do visit the previous articles in this series you will peruse the peculiar origins of Jack and Jill, Humpty Dumpty and Mother Goose. I feel like I need an entremet after my cerebral excursions. Ciao, Blackbirds. All I did was write a little 'poem' about a blackbird that visits my birdbath, and sent it to my neighbour. She, in her delving way, found your website and sent it to me. What a fascinating journey. I saw your Maxfield Parrish illustration, and headed to look at the one I have to see if same, but no it was Old King Cole. Great to look at it in a new light. Can you decipher that one?? I've read other explanations of this nursery rhyme but yours is over the top! I remember singing this as a child and enjoying the ending. Thanks for the enjoyable history lesson. Thanks Peggy _ glad you enjoyed this. Very interesting dissection of the meaning of this children's nursery rhyme. I enjoyed reading it! @Daren - appreciate your visit . 6 wives we know of. 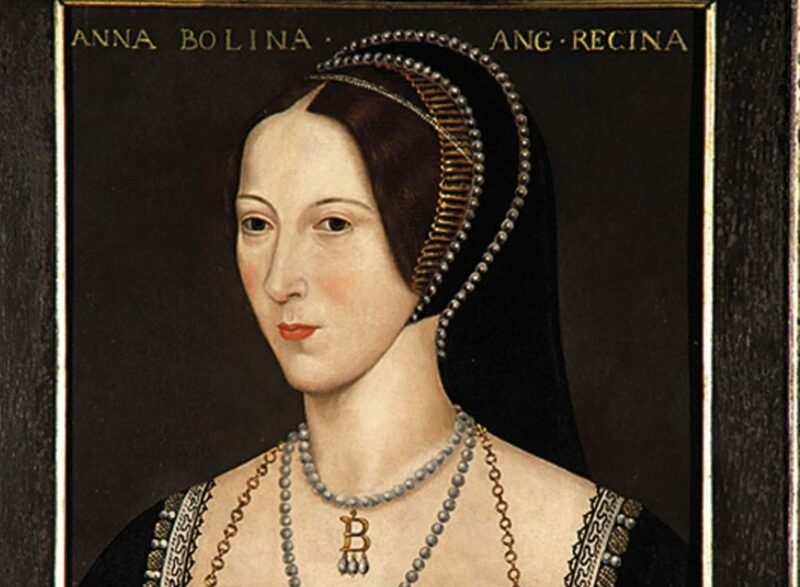 Divorced Beheaded Died. Divorced Beheaded Survived. In -that-order. player indeed. Thank you - Glad you found this fascinating. I have been working my way through the nursery rhymes ( this is fourth in the series) and the information I research and find enhances my curiosity even further! So well researched and fascinating. I enjoyed this! Oh, the mistreatment of animals by baking them alive, not to mention that dwarf. Thank you Jodah. Much appreciated. 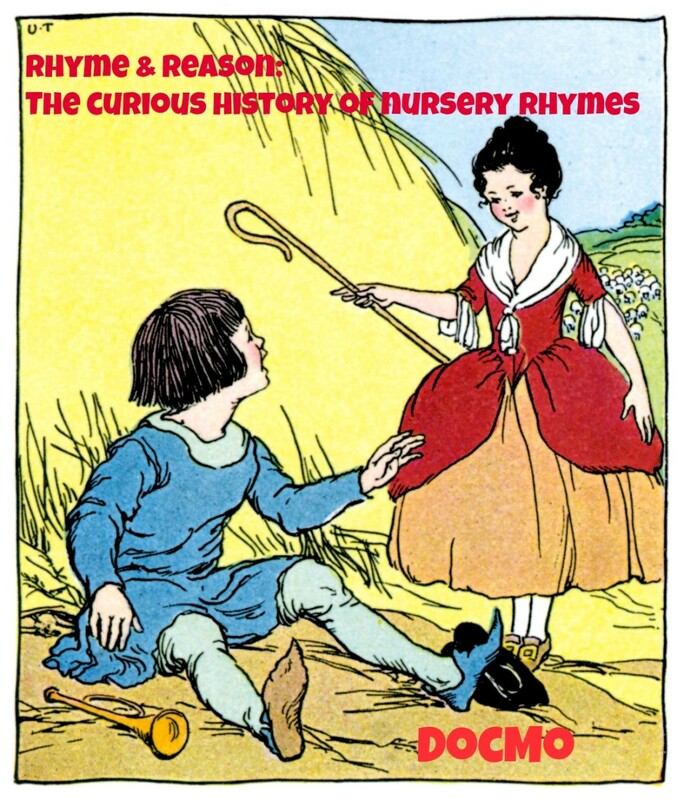 Delving into the true meaning behind, and history of nursery rhymes is remarkably interesting, Docmo. This hub was captivating and a pleasure to read. Good work.